A few hours ago I was sitting in a cinema waiting for the first episode of the new season of Dr Who to begin and now that it is over I have to say Peter Capaldi does a really great job as the Doctor. I’m going to try not to spoil much but I wanted to share my thoughts on the episode. New Doctors normally need to grow on me before I like them, but Peter Capaldi was great right from the offset. He was quirky, fun and gave the sense that mystery that makes the Doctor interesting. I love these guys, they had some of the best scenes in the last season and I hope they show up again in this season. 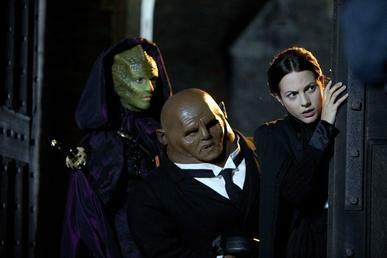 This episode had a lot more of Vastra and Jenny’s relationship, which is something I’ve been waiting for since it’s not really been shown, I mean they are constantly telling us that they are married but we’ve seen very little of the verbal and body language indications that let us know two people are in a relationship. In fact they rarely spoke to each other about anything other than the Doctor. In this episode we got silly arguments, admiration of Jenny, and even a kiss. This combined with Capaldi’s excellent portrayal of the Doctor has made me extremely excited for this season and I can’t wait for next week!